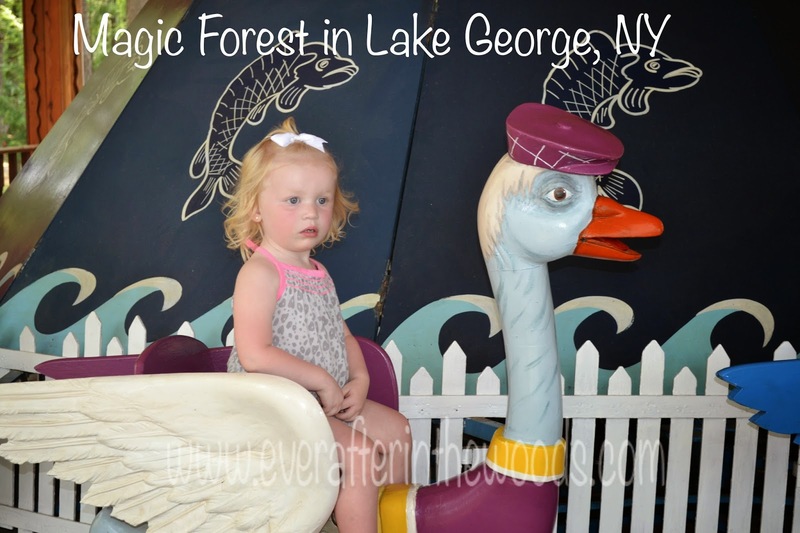 This summer, we took the kids on a vacation to Lake George, New York. We stayed at the Fort William Henry Hotel in a suite style room (2 bedrooms and living area) for four days and three nights. Our children vary in age from 2 to 12, so finding thins to do that will entertain all of them can be challenging at times. While we were in Lake George we dabbled in a few theme parks, many restaurants and of course an iconic fort. Our favorite place this trip was The Magic Forest Amusement Park. 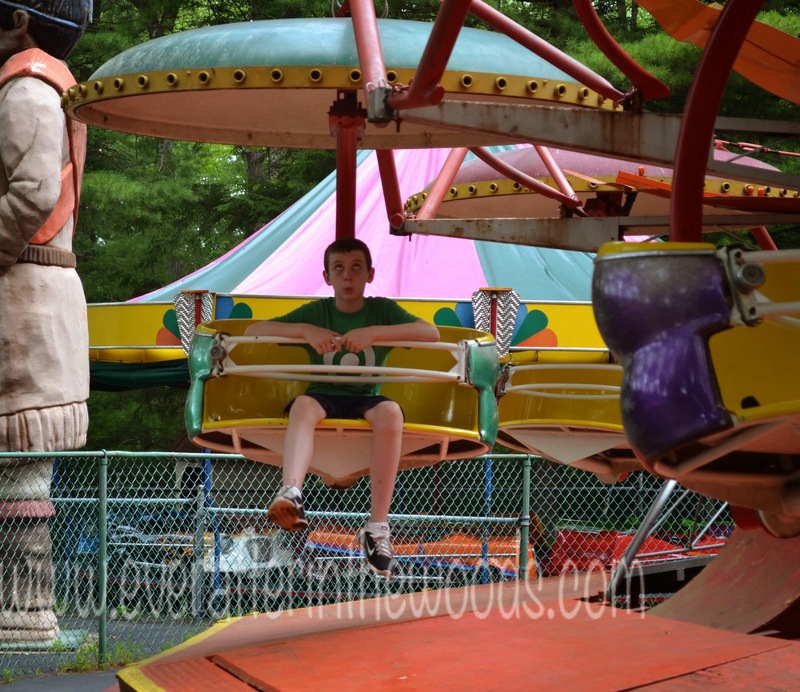 The Magic Forest Amusement Park is located right on Route 9 in Lake Geoge and has been around for about fifty years! We loved seeing the nostalgic rides and themes in this shady park. According to their website, “Magic Forest is the fun place to be for families with young children. The majority of rides are perfect for the little ones. You can watch your toddlers ride by themselves on the kiddie rides, or hop in with them on the larger ones. Everyone can ride the train through the forest and the tram around Safari Land. The Magic show is enjoyed by everyone of all ages. Truth be told, all of this was true! We ALL had a blast, even the 12-year old! 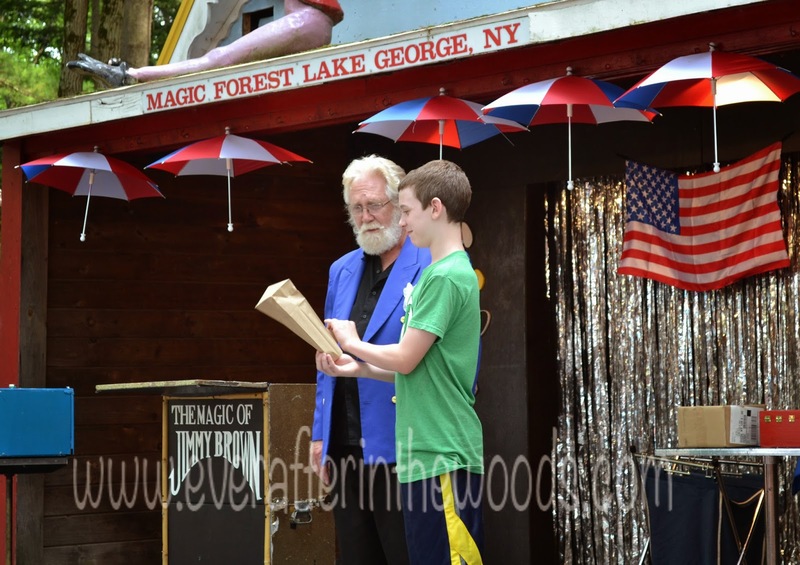 Both of the boys (5 and 12) were chosen to participate in the magic show. The magician that was performing we later saw at The Lobster Pot for dinner later in the week where he was still working his magic and balloon creations for the folks there too. My favorite part was The Diving Horse Show. 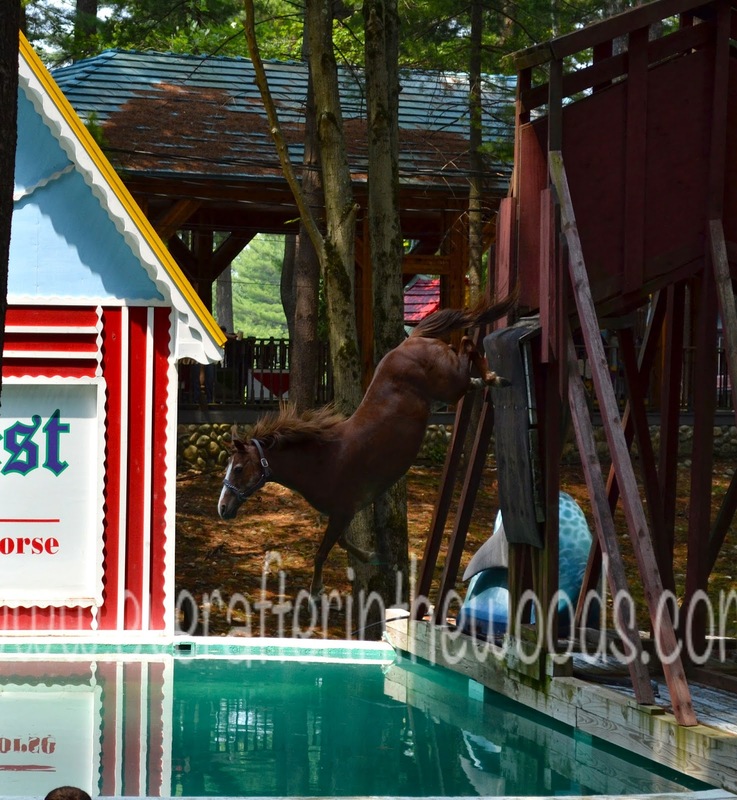 This is the only Diving Horse in the country and true to the name of the show, the horse did just that, Dive! Crazy, right? Disclaimer: I received no compensation for this post. All thought and opinions are my own and yours may vary.